Well that was a heck of a proper weekend. I took off work on Friday, got a rental car (because that’s 625 miles I don’t really want to put on my truck), started up my German audio lessons on Audible, and made the 5hr trip up to Willow Tree. 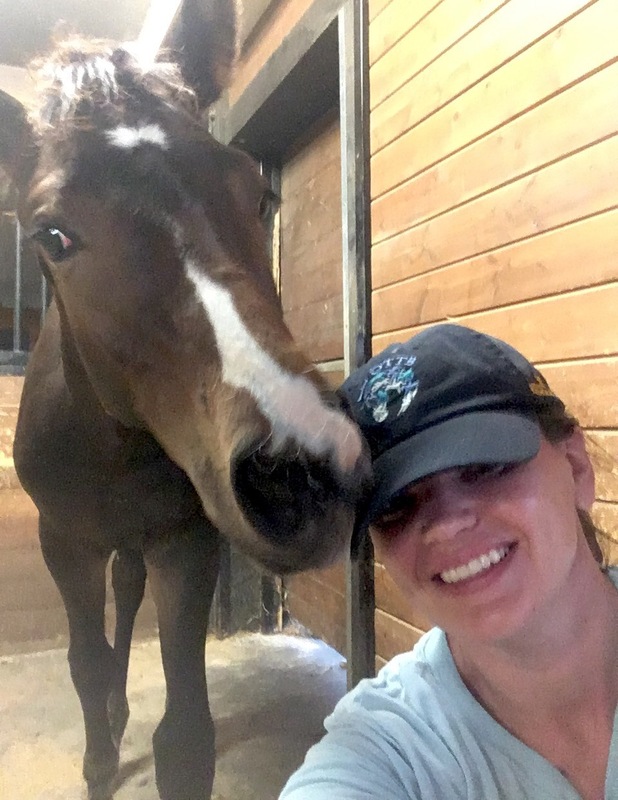 It’s been about a month and a half since I’d seen Presto, so my first stop when I got there was at the barn to say hi to him. Naturally, he was asleep and had no interest in getting up. So we left the boys to their napping and started planning out details for the sBs inspection that Willow Tree is hosting this fall. Mostly layout, set-up, and small details. 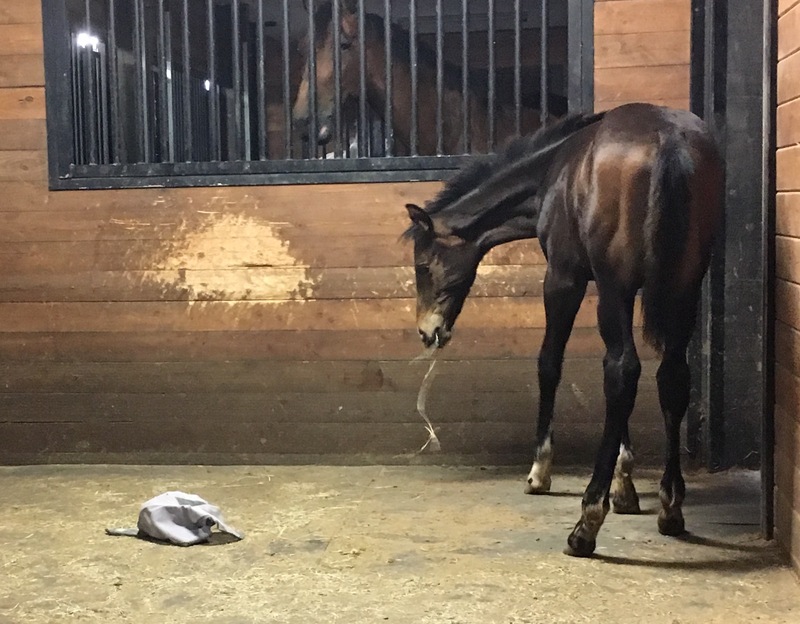 Then we played with the barn cats (that’s a story…), Presto got some in-hand lessons (mostly learning what clucking means, and how to walk next to the human instead of lagging behind at a 2mph walk which is a huge pet peeve of mine), then we pigged out on Mexican food. That is how you Friday. On Saturday I slept in all the way til 6:15 (late for me!) then slowly got dressed and made my way outside. Presto and Liam were much more active in the cool early morning breeze, so I just sat and watched them for a while. It really is a privilege to see that boy enjoying himself and being a normal baby. He’s even caught up height-wise… Liam sticked at 13.2 up front and 13.3 behind, and Presto is 13.1 1/2 up front and 13.2 1/2 behind. Really really close now, height-wise. Of course, Liam is literally about twice as wide, but that’s to be expected from their breeding. 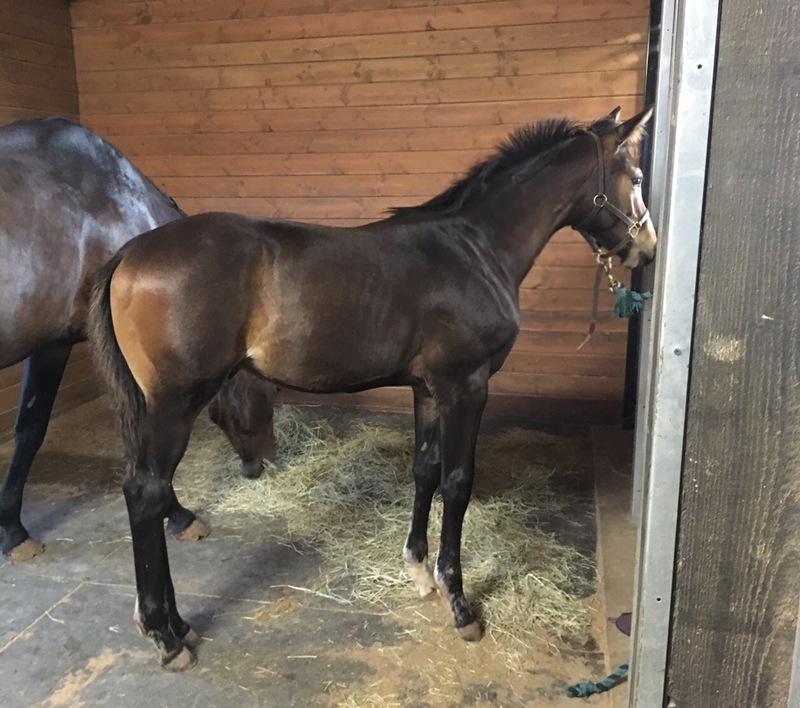 Liam is going to be a big, wide, powerful chunk of a horse, whereas Presto is going to be much leaner and lighter across the ground. The difference in type is pretty stark. We spent the morning doing a photo shoot with one of the 3yo’s, then in the afternoon Presto got some more lessons… first with his feet (he’s had his feet handled and he’s been trimmed but he’s not very good about it) and then with tying/grooming/patience. The first Feet lesson didn’t go so well… when we got to the hinds he kicked me TWICE, earning a much longer and more intense lesson. Once he was clear on the fact that kicking is Very Bad, he was actually quite good. He’s great about tying and grooming, and even had a fair amount of patience. For a 4 month old, anyway. He had a few more feet+ very light rasping+grooming+leading sessions over the weekend, and by the time we were done he was pretty pro at going forward from clucking. He’s really quite smart (sometimes in a too-smart way, just like his mom) and catches on fast/retains things well. You can always see his gears turning. I bought a fly mask for him but… uh… he was pretty sure that was deadly, and I figured I’d tortured him enough for one weekend, so we’ll circle back around to that later. Saturday evening it started storming so they all had to stay inside for the night, which worked out great. I could go in there for really short intervals and redo all of his lessons in small doses. He got better and better about everything as the weekend went on. He’s obviously well socialized and has been handled a lot, so just adding some more intense lessons is pretty easy. He’s got a great foundation to build on. By the time the storms were over and they got to go back out on Sunday morning, they were super full of themselves. That always makes for some good entertainment. It was a bit of a short trip, but we got a lot done and of course it was great to see him again. He just looks better and better as more time passes, and I’m really happy to see him out there playing and acting like a normal foal. Before you know it it’ll be weaning time! He’s starting to look like a real horse! Not that he wasn’t a real horse before but…you know what I mean. I want Liam! !! Such torture not to have that squishy chunk!!! 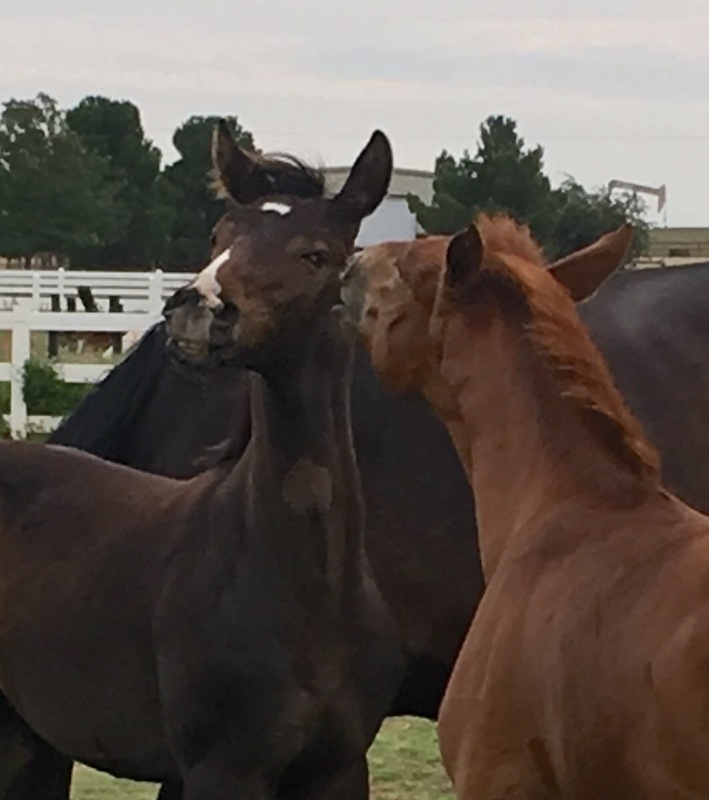 Liam is pretty sweet, but he definitely knows he’s a little stud colt! He looks fantastic. I can’t believe how big he is! It’s hard to tell from the photos of just him, but seeing him next to Sadie, it’s very apparent. These too smart ones can be tough, but hopefully he uses his genius for good rather than evil! Sounds like he’s off to a good start (other than the kicking). Gah, he’s so good looking. For all that though, he still walks right up to you when you go into his stall or pasture. He doesn’t hold a grudge. his face is really starting to show glimmers of the mature horse he’ll eventually be. very handsome! Such a gorgeous baby he is! Wow he sure is looking grown up! Really handsome and adorable as always! Oh god I dunno how you can bear to be away from him for that long. He’s gorgeous and so shiny!! Is it just mer or does he have some really funky white markings on all four feet? I was wondering because in a couple of pics they looked really white. Good to see him happy and healthy and bouncy. Been sending lots of good jingles your way. I really enjoy your Presto updates! Of course, it’s also lovely to see photos of Liam. I work for Christian and I know he’s super excited about that colt! He and his wife are in Europe this week and got to visit with Emerald today! I heard about that! Glad he got to see Emerald, we’re going to try to go look at him while we’re there next month. 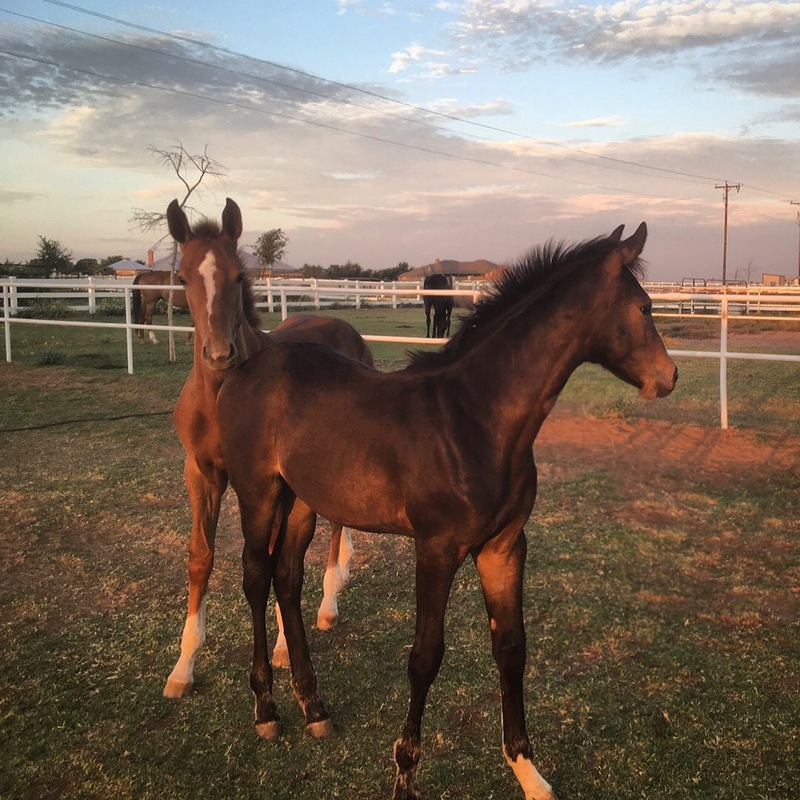 Liam is a really really nice looking colt… looks just like Emerald!